A Week Packed with FUN! 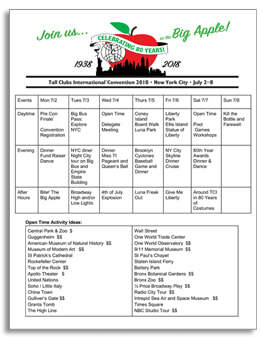 • 3-day Big Bus pass— includes; Empire State Building and Night city tour. • Free time to explore the BIG APPLE. 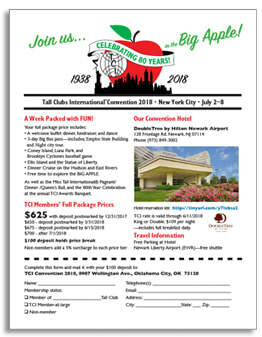 Dinner /Queen’s Ball, and the 80th Year Celebration at the annual TCI Awards Banquet. No snail mail after 6/15/18. Email Lori Giachino: tciregistration@aol.com for late registration instructions—package price $700.